Here’s a brand new food for coral lovers. 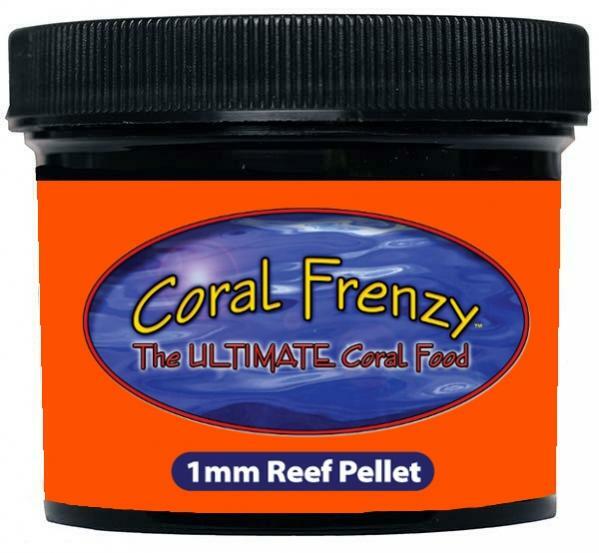 Coral Frenzy, the very popular powdered coral food, will soon be available in pellet form. The pellet will have roughly a 1mm length and will be negatively buoyant to sink for to all of your hungry LPS corals and the fish or inverts lucky enough to steal themselves a bite. The food will be available soon (free samples have already been circulating) and it will come in packages of 76 grams. For nutritional information, see below. We first encountered the Coral Frenzy brand many years ago at one of the trade shows. The powdered food was often given away in the bags of the various shows, and we’ve been using it off and on ever since. We always get a good response from the corals and inverts, in particular our hungry hungry starfish. We are quite happy to see the food being offered in a pellet format, as we have grown quite fond of that type of food as well. PARTICLE SIZE: 1mm Pellet. Coral Frenzy Reef Pellet is an excellent food for your small fish, corals, and filter feeders. Coral Frenzy Reef Pellet is concentrated: A 76g jar can feed a 100 gallon tank for 2-3 months. 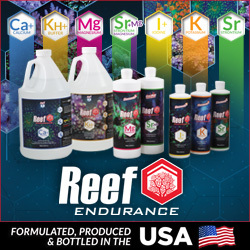 Coral Frenzy Reef Pellet Contains: Squid meal, herring meal, shrimp meal, whole wheat flour, soy meal, wheat gluten, refined marine fish oil, carotenoid pigments, brewer’s yeast, spirulina algae, garlic, lecithin, vitamin A acetate, DL- Alphatocopherol (Vit. E), D-Activated Animal Sterol (Vit. D3), Vitamin B-12 Supplement, Niacin, Folic Acid, Biotin, Thiamine, Riboflavin Supplement, Pyrodoxine HCL, Calcium Pantothenate, L-Ascorbal-2-Polyphosphate (Stabilized Vit. C), Choline Chloride, Cobalt Sulfate, Ferrous Sulfate, Manganese Sulfate.